SMV Signs | Triad Products Co.
and Tier 1, Tier 2, and Tier 3 suppliers. Triad Products Co. is backed by over 50 years of manufacturing experience. Triad Products Co. is proud to say that all of our products are made in the USA. 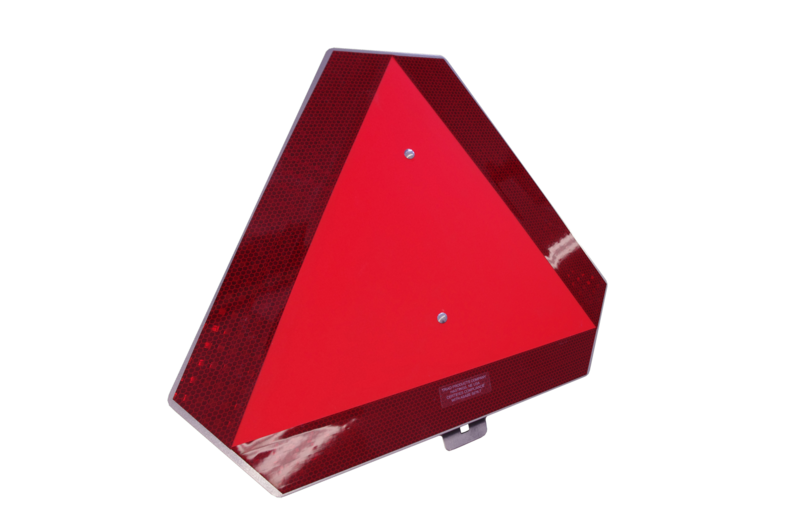 Triad Products Co. provides wholesale SMV Signs, hardware and reflective tape to First Tier and Second Tier OEMs in the agricultural machine and construction machine industries. Why Slow Moving Vehicle Signs? Slow Moving Vehicle signs have been saving lives for over 50 years. Today, many states have enacted legislation requiring the use of the SMV emblem. In addition, the sign has now been adopted for use in other countries, including Canada. All of our SMV signs are certified and tested to meet the current ASABE standards. Metal signs are 22 gauge galvanized steel making them durable and long-lasting. Our plastic signs are not susceptible to rust or corrosion in most normal weather conditions. Each sign is designed to meet most weather conditions, to provide a long-lasting product. Triad Products Co. custom designs metal SMV Signs for most major brands. Our plastic SMV signs are designed to fit most major brands. All products produced by The Triad Group of Companies are proudly made in the USA. 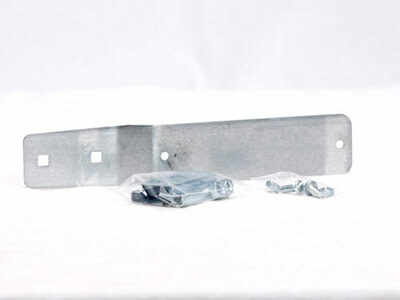 Galvanized Steel, Decal, or Plastic Backing. Triad Products Co. provides other products for the Slow Moving Vehicle Emblem line. 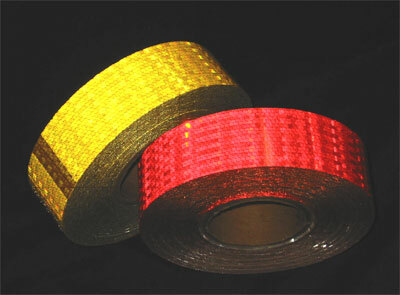 The reflective tape is 2" x 9" and is available in three different colors: yellow, orange, and red. All three colors are available in individual retail packaging, in sets of 5, or for wholesale purchasing. 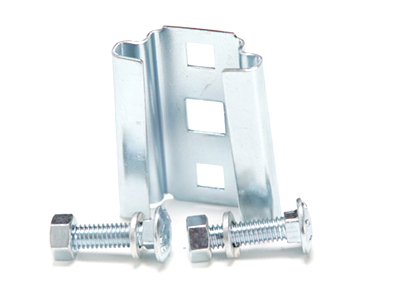 The SMV Mounting Sockets can be placed where you want and are designed to hold the SMV spade mount of the SMV sign. The Mounting Spade provides the necessary mounting hardware, made out of 14 gauge galvanized steel, to mount a SMV Emblem to a spade. The spade is sold in kits or individually, they can also come with or without hardware. Triad Products Co. is located in Hastings, NE and is a sister company of the long-standing manufacturing company, Merrick Machine Company. It has been apart of the Triad Group of Companies since 1989. Triad Products Co. is structured as a Limited Partnership with the other the Triad Group of Companies. They are each a stand alone company doing business in separate facilities with independent offices, manufacturing and warehousing. With sustained and programmed growth, these they have continued to modernize and expand the physical assets, state-of-the-art equipment, and add talented and competent personnel. For any questions, to place an order, or for special discounts on volume pricing, please contact us. © 2016 Triad Products. All Rights Reserved.